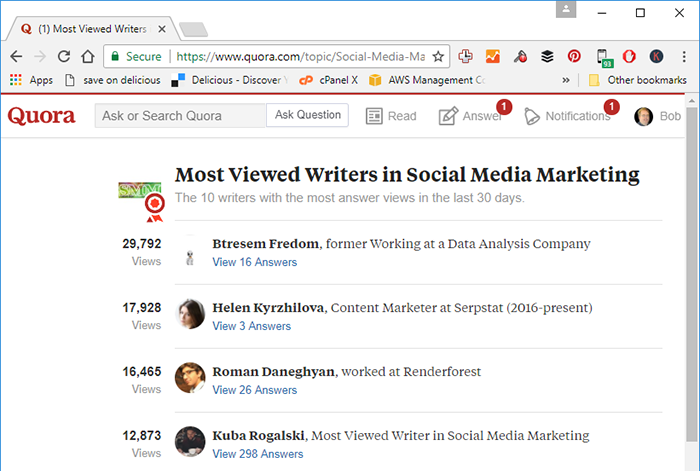 Is Quora a good source of traffic for a new website? Heck yeah! Woohoo! Can’t say enough good things! Folks, it’s the #1 traffic source for my new web site I have discovered so far by a wide margin. 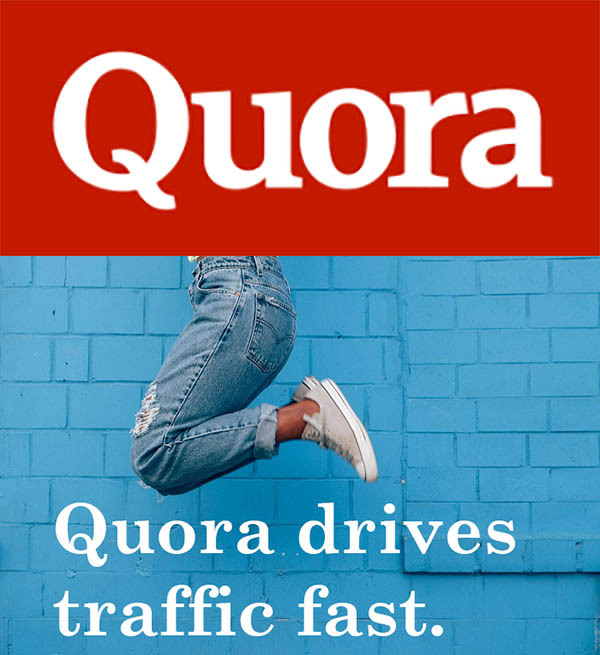 I wrote recently that Quora was my favorite instant traffic hack out of the 11 I’ve tested so far and I also listed it as a great example of an Evergreen Traffic driver. But the results I’m getting have been so good I had to share the full details now so others can benefit. Listen, absolutely the most frustrating thing in the world about creating a new website is slaving over creating great blog post after great blog post and having nobody read them. If you think Google is suddenly going to wake up and start sending millions of visitors on the strength of your content quality alone, you are mistaken. It will take you forever to get there just by throwing content out into the void–even if it is the best possible content there is. You have to learn to jump start your traffic by borrowing traffic from established platforms that already have tons of it. Facebook and other Social Media are common platforms. I use Social Media too, but the results I’ve gotten from Quora dwarf my results from Facebook. I’m absolutely not giving up on Social Media, but I am doubling down on Quora because it works. Quora gets almost 400 million visitors a month as I’m writing this. You need to be getting your fair share of that behemoth crowd because it’s just not that hard to do. 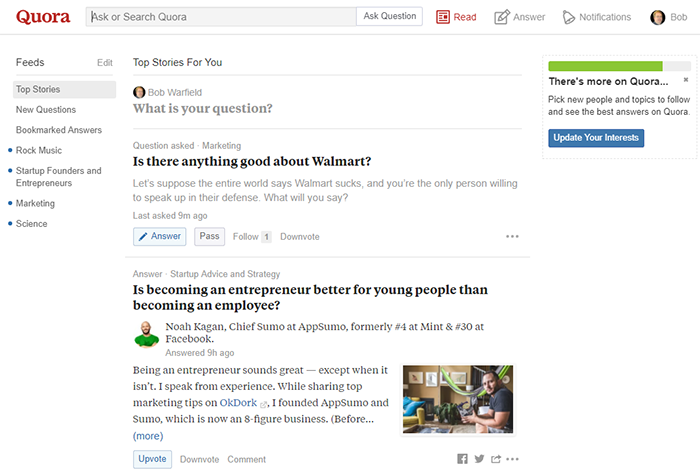 Quora is one, perhaps the largest, of a group of popular Q&A (question and answer) sites. People go there to ask and answer questions. Many famous personalities ranging from Ashton Kutcher to Barrack Obama have answered people’s questions on Quora. In fact, anyone can join and do the same. If you think about what you’re trying to do with your website, it’s to establish yourself (or your website) as an authority on something. People are interested in authorities–they value authorities and their content if it’s relevant to the problems they’re trying to solve. Even if you stop answering questions on Quora, your answers remain. Anyone that searches for the questions you’ve answered can potentially find your answers. Now here is the important part–if you answered the question well and included click-throughs to your website for further information, you will get traffic from your answers. Plus, whenever someone discovers your answer and upvotes it, the upvote appears in everyone’s feed who followers the one who upvoted you. Of course that’s true, authorities are people who answer questions. 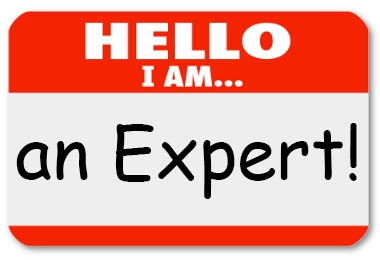 But Quora will track who the experts are for particular areas which will help you further solidify your reputation as an authority. You can be named the most viewed writer in a topic area. You can also get topic badges that appear next to your name for particular areas, another way you become known as an authority. Plus, people remember the names they come across often. The things you do on Quora can help you become known as an authority elsewhere. I recently got called out positively in a Facebook Group. I was answering a question for someone and another viewer commented, “Great answers! Haven’t I seen you on Quora quite a bit too?” I had gotten name recognition in a completely different venue just 8 weeks after starting to use Quora! Ever wanted to appear in a major publication like Forbes, Newsweek, Huffington Post, or Time? Every one of them is now sourcing content from Quora. If you’re connected with it, you’ll be taken along for the ride. Quora gives you the ideas so you don’t have to think so hard! Not only does it give you the ideas since you have a question asking for an answer, but you can often write a blog post about your answer (with more detail) and it’ll turn out to be a very popular post topic. I’m too new to Quora to get all of those benefits. For now, I am really pleased that Quora is my #1 traffic driver. Let’s dig into what it’s done for me so far. Let me provide a little more color around the numbers. First thing you’re wondering is how much time and effort it took to achieve these results? The answer is not much. In fact, I wasn’t nearly as diligent as I should have been. I average about 1.2 answers a day for the 8 weeks. Really, 2 to 4 answers a day will produce a much bigger result and was more typical of how others (see below) approached it. The results are additive too. Like so many things, the more you give (more answers) the more you get (more traffic). In the beginning, a typical answer yield 24 visits to my site. By the end of the 8 weeks, I was getting 55 visits per answer. Whether that was because I got better at it or not, I doubt it. I didn’t feel like I was doing much different, at any rate. It was all an experiment and I wasn’t spending more than a half hour each morning on it, and I was frequently missing that half hour. Here’s another thing that started happening–I got lucky on some of the answers. It’s the same with writing blog posts or using social media. Some posts just do a lot better than others. They go viral. One of the symptoms of a post going viral was it got included in the Quora Digest, which is an emailing. This happened 4 times out of the 67 answers I published during the 8 weeks. The number of people who were emailed varied, and Quora will tell you in your notifications. I got anywhere from 1000 to a whopping 110000. Whether or not one of your answers will go out in the Quora Digest is a function of how it is received by the audience. Success begets success, in other words. I’m certainly not the only one to benefit from or write about Quora. Jason was the first person that attracted me to try Quora. I follow his SaaStr writings. He is a venture capitalist and has a lot of very bright things to say and a few things I disagree with largely because they’re only right for venture capital-based businesses and not all small businesses. 2 weeks ago, on Jun 6, 2017, Jason reported he’d had 34.5 million views on Quora. His answers had 218 thousand upvotes and 11,700 shares. Recently, he said he is getting over 1 million views a month on Quora. Huge traffic by any standards! That was 40% growth over the course of a year, and Jason feels his growth on Quora has slowed. OTOH, growth in views of his blog (also about 1M a month), are no longer growing materially. He says that 24 months after he started answering questions on Quora, he’d gotten 2.5 million views. 2 years after that, he hit 20 million views. His key to Quora success? Pick the low hanging fruit. He had a rule that if he couldn’t answer immediately, he’d move on. His average blog post took him 2+ hours to write and edit, but it only took him 5 minutes for a Quora answer. He also believes in a cadence, and says he does 2 podcasts a week, 10 Quora answers a week, and 2 to 3 new blog posts a week. By now, you’re impatient and ready to get on with it. How can you get these kinds of results from Quora? First thing–your mileage may vary. You have to test and see if it will work for your audience. Quora is awesome for my BobWarfield.com audience, but my big site for CNC Manufacturing? Not much traffic available from Quora. So, follow the steps below and see whether Quora can work for you. If it does, double down and spend more time on it. If it doesn’t, you need to move on to testing something else! The first step is easy–join Quora and fill out your profile. Joining is easy, but there are some tips to creating a great profile. The tagline under his name is packed with goodness. You have to tell at-a-glance the most important things you want your audience to know, and you don’t have many characters. 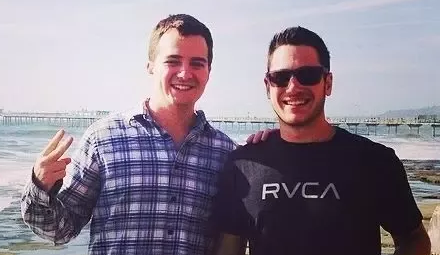 He’s evangelizing for Badass Marketers & Founders, and he offers advice and mentorship. Done! A little more detail in the line below is largely giving us social proof–Badass has over 13,000 members. Right below is his call to action to get you to join his mailing list. In this case, he uses Facebook Messenger rather than email, since he’s a Social Media strategist. 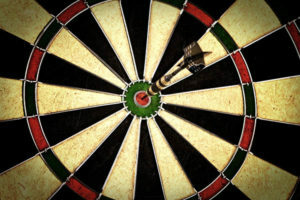 Secondary calls to action involving connecting via Facebook and LinkedIn. More social proof with the wall o’ logos of fabulous places he’s been published. To the right, we have credentials and highlights. This is more goodness for his audience to see he’s a guy worth listening to. Below that, Quora automatically generates a block of topic areas he knows about. These are the topic areas he spends the most time answering. There are just a couple of things I might do differently. For example, I always want to get to a person’s main web presence, be that a website/blog, Facebook page, or whatever. Josh has a great site, but it isn’t directly linked in his profile. Also, it’s not clear the Facebook page there is his main page. It goes to “joshua.fechter.5”, but it looks to me like “@joshuafechter123” is the main one. Not sure exactly why he does that, perhaps it’s for tracking or he thinks of them as multiple landing pages on a normal site. In general, think about covering the following in your profile, but be conscious of getting your most important info above the fold (you have to click a “more” link to see the whole profile). Killer tag line. Note, you can customize these for different topics you cover too! You’re all set with a smokin’ profile that is guaranteed to send anyone who reads it scurrying to accept your call to action as quickly as they can. Your next step is to find the right questions to answer so droves will check out your profile as well as click through links in your answers in as large a numbers as possible. How do I find the right questions to answer? Notice all the topics like “Social Media Marketing”, “Social Media Strategy”, and just “Social Media”? 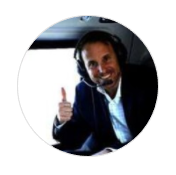 Check the red arrows–392.3K followers–this is a big one worth digging into! Click the follow button (top right red arrow, I am already following this) so you’ll see activity there in your news feed. Now click the “Most Viewed Writers” button (top left arrow). 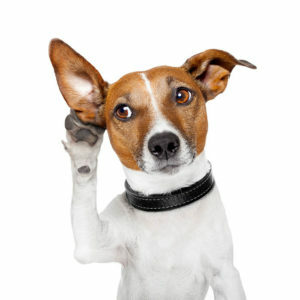 You want to follow these top writers for all the usual reasons–you’ll learn from them, they already have a following you can piggyback on, they may follow you back, yada, yada. Now this list is sweet, because it tells you the top writers, how many views they’ve gotten recently (last 30 days), and how many answers they’ve written. Make a note of these most viewed writer pages in a worksheet, as you’ll refer back any time you’re looking for new questions to answer. This is a sneaky one. Look at our 4 samples in the screen shot above. Kuba has answered 298 questions for 12, 873 views, but Helen only had to answer 3 to get 17,928 views. If you’re lazy like me, you want to write 3 answers for almost 20K views, not 300 for 10K views! So, drill down on Helen’s 3 answers. Helen’s first question, “What is the best advertising campaign ever?”, has 100+ answers and 290 followers. That’s a lot of answers chasing relatively fewer follows. Ideally, you’d love to have 290 followers and maybe 30 answers. In addition, the top answer currently has 178 upvotes. It’s probably a pretty good answer! Next one, “What are the best blogs to learn SEO for beginners?”, has 5 answers and 4 followers. Meh, nobody is at this party. Her third one has 39 answers and 213 followers. That’s the best ratio yet, and I like focusing on questions with at least 100 followers so a lot of folks see my answer. Now it’s not all roses, because the best answer has 352 upvotes, and the second has 330. That sends me back to the first question where I see first answer has 178 upvotes but the second has only 31. Really, either the 1st or 3rd is fine, but I am guessing the first is a little less competitive, so if I think I can formulate a great answer, I’d hit that one. See how this works? Not so hard, right? And it’s based on numbers with a little bit of gut thrown in to break the ties. Trust me, you’ll see questions that are not quite as old as these with lots of followers and relative few lousy answers. Jump on those–they’re solid gold! The thing is, you want to make sure you can craft a winning answer that will matter for your website. Hey, it’s a system, but it’s one that will work! Okay, you’ve got a few awesome Answer targets in your sites. You’re in the final lap–time to craft an answer that will drive some traffic. 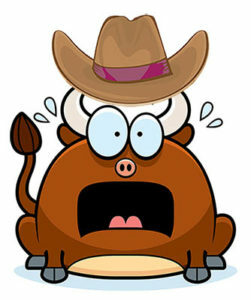 Do you like my Rancher who discovered he’s really a Cow image? It’s needs to be at least somewhat related to the answer you’ll write and you want it to be eye catching. Hopefully you can just pull it from the blog post you’re seeking to link to. 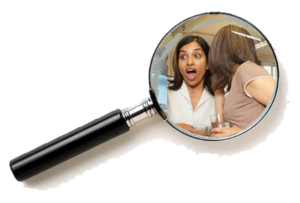 Don’t be coy–you need to dish up some real insights into the question. People need to fell like they’re getting tremendous value. You may need to write a pretty long answer to deliver. 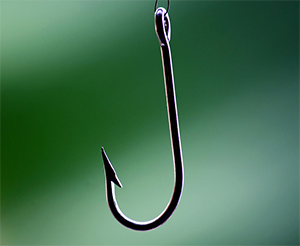 Give away your entire blog post, but make sure it includes your lead magnet links. You don’t need them to go to your site, you just need them to want the lead magnets. Both can work. I generally prefer the second one, but I have seen the first used very effectively too. The hook is set, time to reel ’em in! The point is you are giving value to establish reciprocity. The image sucked them in when they were scanning answers. The text (and further images) solidified their fascination with your writing. Now you’ve delivered enough value you can ask the reader to reciprocate. They do that based on your call to action–either go for the lead magnet or get more details by reading the full post. But, they will only reciprocate if they are loving what they’ve already read right on Quora. Try Hemingwayapp.com. It does a great job of editing your text so it’s punchier. Reflect on pain. People love to hear about other people’s pain. It should, because you should do all of these things when you write your blog posts. Same deal here! Tracking Quora Traffic is Sneaky! You will search your Google Analytics reports in vain for traffic from Quora. It’s invisible by design. Quora marks the links so the information on where they came from does not flow through. But, you can estimate the traffic. It shows up in the “Direct” category. In fact, I almost missed believing in Quora until I discovered traffic under Direct going to urls that were just too hard to type in. I was getting so much direct traffic to these urls that it made no sense. I did a little research and learned that Quora is hard to track. Here’s how I estimated my traffic. I started with my big site, CNCCookbook.com. 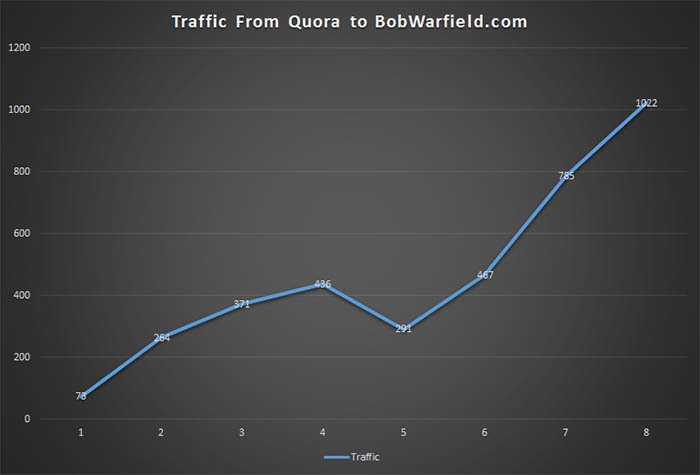 It has much higher brand recognition than BobWarfield.com, so any direct traffic was likely to be higher. I took the percentage of my traffic that was coming from Direct in CNCCookbook, and I assumed that the rest had to be Quora. This is not strictly true. Traffic from https to http, for example, will also show as Direct. So, I did one more tricky thing. I took the reported number of views Quora said my answers were getting and plugged them into my weekly spreadsheet. I then reverse engineered by mathematical analysis (yuck!) and back solving, how much of my Direct traffic was varying by exactly as much as my views on Quora were varying. Admittedly, a crude estimate, but we only need to track relative traffic changes to know if we’re succeeding. FWIW, my “magic number” is I guesstimate about 26% of my Direct traffic is via Quora. If I significantly ramp up my Quora efforts (as I definitely will! ), that number will go higher and i’ll re-estimate. For those of us living in North America, you need to post either early in the morning or late at night. The reason is a large portion of Quora’s user base comes from India. Posting to Quora is the first thing I do each morning when I start my work day. Look your goal is not simply to be popular on Quora (LOL! ), it’s to do something of value for your business. Don’t just pick questions on Quora to answer because they’re popular with lots of upvotes and comments. You want to niche yourself down to an area where you can be established as a thought leader. Controversy gets traction. Step on some toes by disagreeing with the prevailing wisdom. 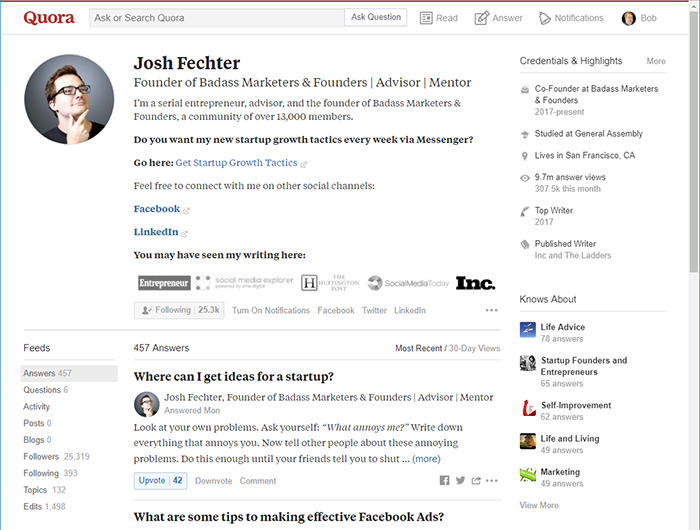 Josh Fechter was Top Quora Writer of 2017. He got his first big break on August 8th, 2016, when he answered, “At what point should founders take a salary from their startup?” In his post on Sumo’s blog about how he uses Quora to drive traffic, he says the break came from being controversial. There aren’t that many great writers on Quora–it’s one reason you can stand out. When you tag the other writers, it can let them know you respect their answers and it also causes Quora to notify them they were tagged. Perhaps they’ll follow you (and often people follow whomever the top people follow). Perhaps they’ll take an interest in some of your posts, which in turn can mean their followers hear about them. Even if you disagree, do so in a respectful manner. You want their cooperation. You want to engage them in a discussion, and you don’t want to drive them away. You can accomplish a lot by breaking any problem down into bite-sized pieces. Make a fixed and regular commitment to Quora. Perhaps you’ll commit to writing a certain number of responses a day. You come in every morning and crank out say 4 answers. Over time your investment will really add up. You know those keywords you’ve spent so much time researching so you know what to blog about? You do know what they are, right? Well, even if you don’t, you have an idea what your audience is interested in. Either use your keyword research or your audience interest areas to identify the right areas to target in Quora. Those are what you want to search for to find the questions you want to answer. Search out their answers, add your own answer, and try to find a good reason to tag them in your answer. If you do this right, you may find the influencer reciprocating by linking back to your content. You’re Ready: Go For It! There you have it. 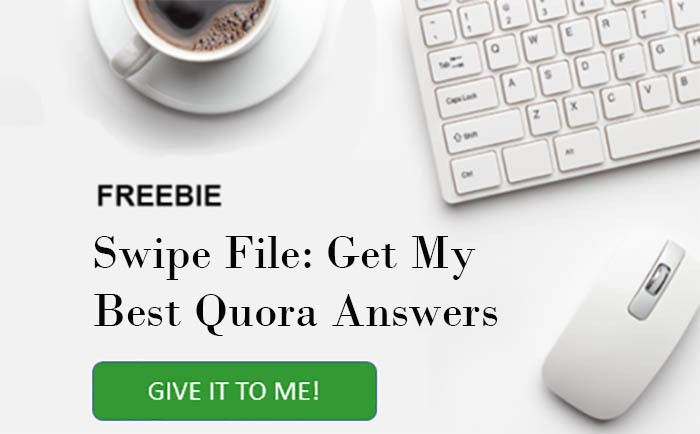 Everything you need to know to get started with a step-by-step strategy for using Quora to drive traffic to your site. Like I mentioned already, your mileage may vary. 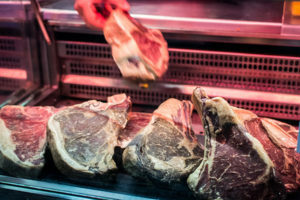 Quora was awesome for this entrepreneurship blog and useless for my big CNCCookbook blog. Just not enough CNC’ers on Quora to move the needle. You need to test it to see if your audience is there or not. My next steps are simple–I got great results dipping a toe in the Quora waters, now I want to kick that up a notch. I am going to write 2 Quora answers ever day for another 8 week cycle and I’ll report on how that goes. That’s almost twice the volume of answers as what I did for this experiment, so I am hopeful I will get great results for a very low time investment. Fingers crossed! Please tell us how it works for you and any tips you learn in the comments below! Bob, this is an absolutely AWESOME post! Thanks for breaking down Quora in an easy way for entrepreneurs to learn more about the platform. You’ve inspired me to get more serious about that platform – thank you! Great tips! I will definitely check Quora out. I don’t know much about it and hadn’t considered it for traffic, but thanks for sharing great tips. I will look into it now. Leanne, thanks for dropping. Do check Quora out. If your audience is there, it’s awesome as a traffic driver. Also, check on the other sources. You just don’t know what will work for your audience until you test some different things as I did. I will retest them in 6-12 months when I get hungry to step up another traffic source too. This article is AWESOME! I had never even thought about using Quora as a resource, even though I’m subscribed to their daily newsletter. Thanks for the helpful tutorial on how to use it to drive traffic! Amy, thanks for your kind words. This article is excellent. I have used Quora from time to time over the last few years. It’s gotten me a bit of traffic and also some idea for blog posts. My categories don’t seem to get as many questions (nor views). I was surprised when I read the traffic section here. Direct is basically untrackable…and I forget if they made that change 3 or 4 yrs ago. I remember when the direct #’s were reclassified/but don’t remember the timing. I generally assume it’s proportional to the rest of my traffic, but my quora traffic was 0 and I was surprised. In the past, I had been able to see Quora traffic on GA, but I went back over the years, and it looks like they stopped tracking around Mar 2016. I got more traffic in 2015. Anyway, love the tip on the photos so I went back and answered a whole bunch of q’s related to blog posts in the last 3 months and added pictures. Debbie, I can’t wait to hear whether you see a pickup in your Direct traffic. Thanks for commenting! Amazing article, and great tips, I’ll give a try to quora and hopefully, it turns out good for my website. I’m so glad I came across your blog.